First restaurant in capital to open on December 2 at 2 Hang Bai Street, near Hoan Kiem Lake. The world’s leading fast-food retailer, McDonald’s, will open its first restaurant in Hanoi, at 2 Hang Bai Street, on December 2. The opening officially marks the arrival of McDonald’s in Hanoi and Vietnam’s north. Located at a prime location in the heart of the capital, facing Hang Khay and Hang Bai streets, the restaurant is well designed and decorated with images of Hanoi’s rich culture. Covering an area of more than 400 sq m, the restaurant will employ over 100 staff and provide space for nearly 200 customers. The area with a full view of Hoan Kiem Lake gives customers an amazing place to enjoy great-tasting McDonald’s food while watching the city’s bustling vehicle-free streets on the weekends. Mr. Thinh added that McDonald’s is now ready to offer local customers signature dishes such as the Big Mac, Cheeseburger, Chicken McNuggets, and French fries, with the consistent high quality found in the rest of the world. Good Food: McDonald’s is proud to serve its customers the best quality food. McDonald’s suppliers are carefully selected and follow strict global standards to ensure all ingredients are of the highest quality. Good People: McDonald’s offers excellent training opportunities and a progressive career path to help employees grow. Apart from intensive on-the-job training programs, employees can participate in in-depth training courses offered inside and outside of the country, which enable them to provide the best customer service. Good Neighbor: McDonald’s is dedicated to caring about and bringing happiness and joy to the community, particularly children and families. McDonald’s arrived in Vietnam in 2014 with a developmental licensee, a franchising model that is used in many markets around the world to grow the McDonald’s brand. 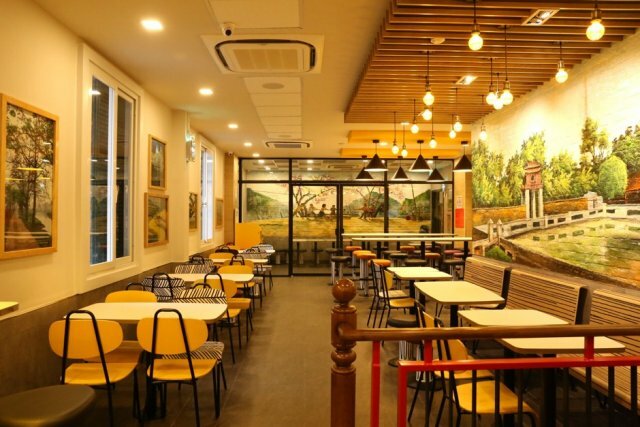 In its more than three years in Ho Chi Minh City, McDonald’s has continuously evolved to become one of the most popular fast-food chains in town. Following this success, McDonald’s is now ready to offer northern customers delicious meals with its signature menu items. McDonald’s is the world’s leading global food service retailer, with over 37,000 locations in more than 100 countries. Approximately 85 per cent of McDonald’s restaurants worldwide are owned and operated by independent local businessmen and women.